The perfect starting point for creative play, this is the ultimate book of ideas for arts and crafts, building and tinkering, writing and rhyming, singing and dancing, and more! For parents who don't feel they are creative, this book provides an easy entry point for raising creative kids. Creativity is an essential ingredient for a happy childhood, and this is the ultimate collection of ideas for arts and crafts, building and tinkering, writing and rhyming, singing and dancing, and more! 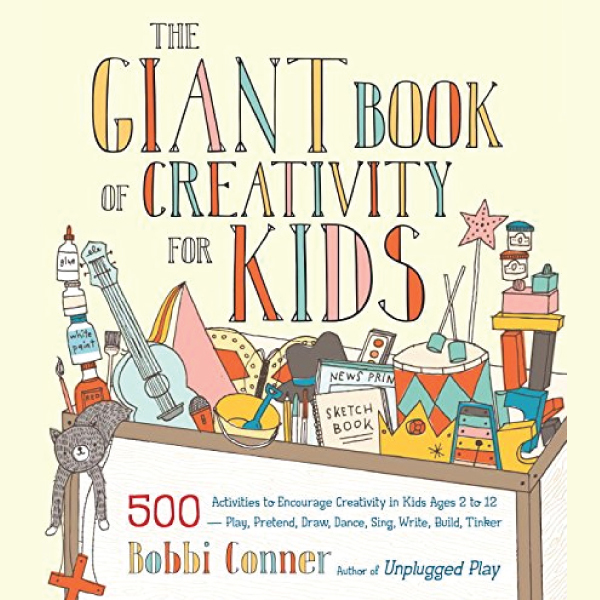 With 500 unplugged, hands-on activities for children ages two to twelve, this book goes beyond the simple arts and crafts found in most kids’ creativity books and offers fun ideas for a generous range of imaginative and creative play—all in one giant book. You have the power to encourage creativity in your child’s daily life, whether you feel creative yourself or not. This book is your guide for being a creativity mentor, your handbook for raising kids rich with creative habits and skills, and your toolbox full of ideas and activities. So say YES to creativity! Encourage your child to dabble in all kinds of activities, and discover the magic and beauty of imagination.